The Professional Hickory Golfers Association has been organized to advance the cause of hickory golf play on a worldwide basis. 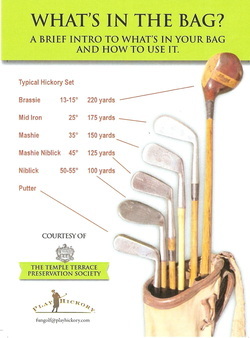 Its membership consists of gentlemen and ladies who enjoy competition with authentic or replica hickory shafted golf clubs and replica period balls. The Association's membership is for those who share a love for golf, a respect for it’s traditions, and a keen interest in hickory-shafted play. There are no fees or dues to become a member. The Association is open to all male and female golf professionals interested in the ideals and values of the organization.